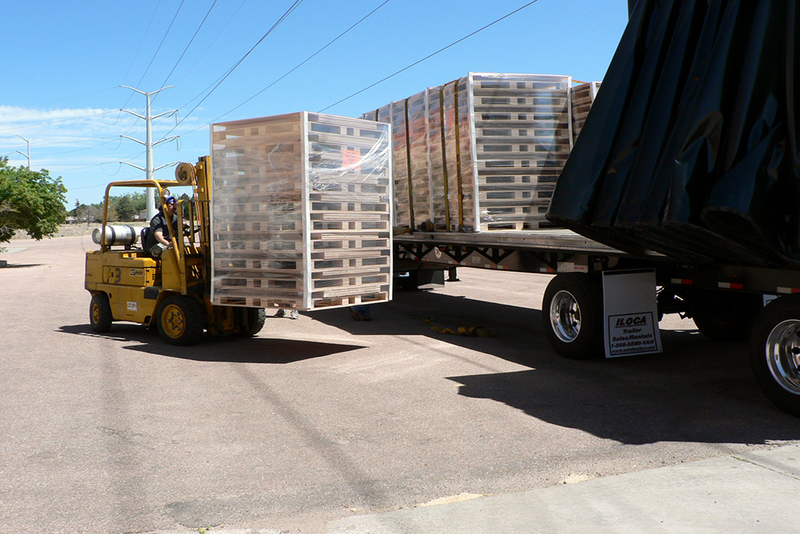 While economical enough for one-way shipments, SnapCrates are especially ideal for shipping circuits that allow for the return of your wooden shipping crates for reuse. The snap-and-slot system allows a SnapCrate to be reused dozens of times, and the ability to disassemble and lay the reusable shipping crate flat allows more crates to fit in return shipments. One SnapCrate will endure up to 30 shipping cycles, which eliminate the need to purchase 29 additional typical wooden shipping crates! That single SnapCrate would also cut 3000% of the disposal fees at the destination. 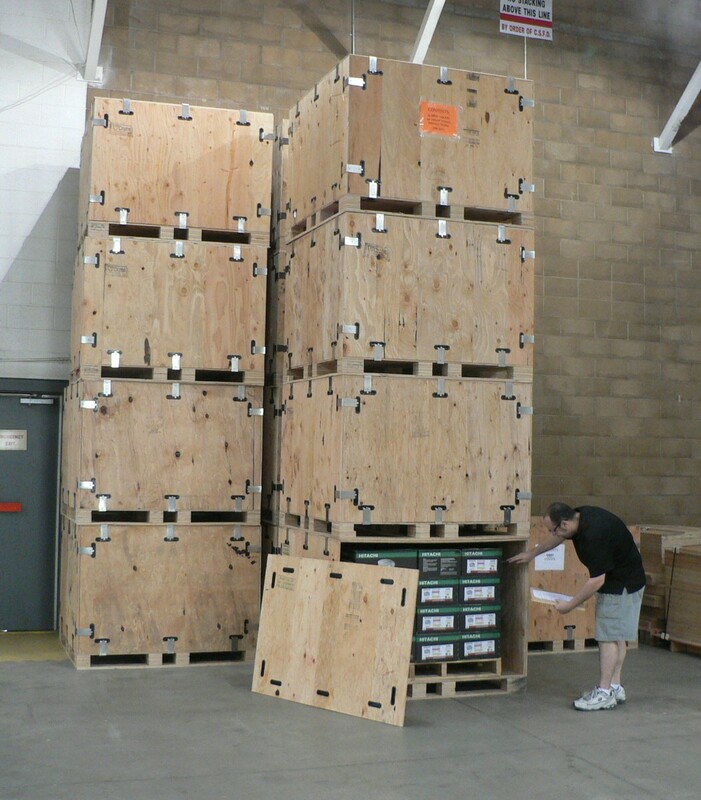 SnapCrates take less than 1/5th the time to assemble or disassemble as a typical wood crate, and so present a significant savings in labor costs. The ability to assemble and disassemble a SnapCrate without tools saves on the cost of tools, tool maintenance and potential employee injuries. 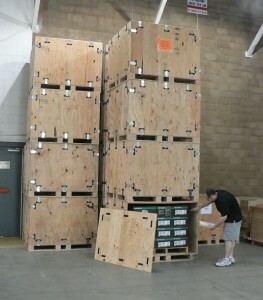 Typical wooden shipping crates are constructed with nails, screws, or staples; as a result, the product therein is not only difficult to access, but may even be damaged by attempting to do so. A SnapCrate, on the other hand, can easily be reopened for inspections or forgotten components without damaging the product or compromising the integrity of the crate. In fact, this unique ability has led some of our customers to incorporate our custom crates as part of their production line; they are able to protect their product while maintaining access to it, and move the crate from any angle thanks to the four-way entry pallet base. A SnapCrate’s strength allows it to safely transport your product and prevent damage during shipment, further reducing costs. One SnapCrate customer was experiencing a 50% breakage of their delicate product with their former crate provider, but by switching to SnapCrates they were able reduced their breakage to less than 1%. Needless to say, their customers are much happier too. As one of the largest individual consumers of plywood in North America, our domestic material purchasing power and proprietary production process ensure that you are always provided with the best possible pricing. Saving on labor costs, tool maintenance and product damage ensures that a SnapCrate can save you money even in situations where you are not able to reuse it!